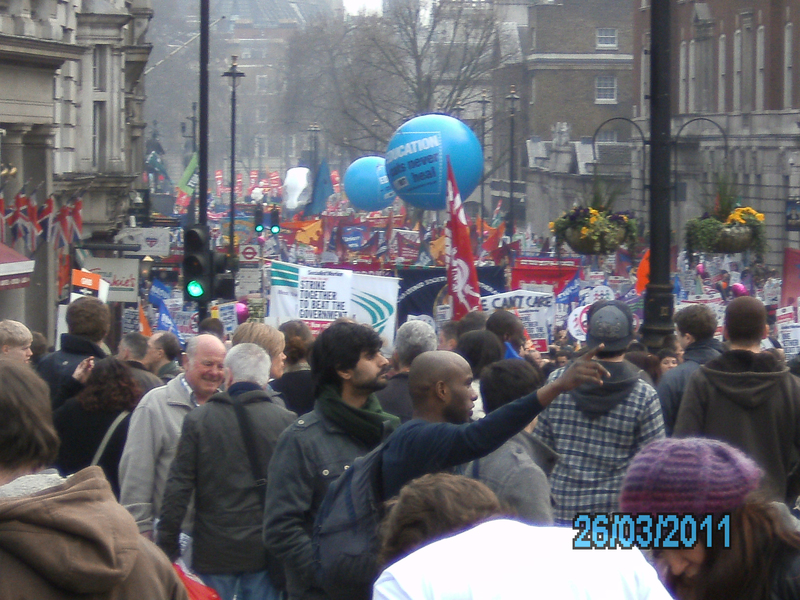 On Saturday 26 March, 500,000 trade unionists marched through the streets of central London on a demonstration called by the TUC. Just over three months later an estimated 30,000 civil servants, lecturers and above all teachers took to London’s streets on a weekday as part of a co-ordinated strike across four unions, involving hundreds of thousands workers nationally. The strike was triggered by the attack on the pension schemes for public service workers, but it was also clear that for many the pensions issue was a lightning rod, conducting wider anger about cuts jobs and services, and the very future of welfare state provision. The Camden UNISON banner was one of more than 100 union banners seen on the 30 JuneLondonmarch. Several branch members on strike in the Housing repairs section joined branch officers, who had used annual leave to attend. Unfortunately, our banner was one of only five from more than 120 UNISON branches across the capital. Why? Well, of course, UNISON members were not on strike, with a few key exceptions such asBirmingham, Doncaster,Southamptonand, of course, Camden Housing repairs. In fact, we were never balloted and many ‘ordinary’ members asked me and other branch members why. The abolition of the Fair Deal for Pensions, which opens the floodgates to still more privatisation of public services. We are not even certain if the potential 50% in pension contribution rates remains an immediate threat. Surely, this is no time to allow the Government to play divide and rule between different sections of the workforce, but instead a chance to press home an advantage. Of course, we can only speculate about the longer term impact of the phone-hacking scandal swirling not only around the Murdoch-controlled press and the whole of the British political establishment. But it has already caused damage both to the Coalition government as a whole and Prime Minister David Cameron in particular. What was never a strong government, despite the fawning of the most of the mainstream media, has now been substantially weakened. That does not, in itself, mean that its policies towards the public sector and its workforce, will magically change. Indeed, the attacks may become all the more vicious. But the crisis that has engulfed the Murdoch empire and its very recent political allies, combined with a serious threat of another financial meltdown in the event of the Euro’s collapse, means that we have a unique chance to turn the heat on the Con-Dem government. We must do all we can to ensure that national union leaderships, not least UNISON’s, do not squander this opportunity. This entry was posted in Uncategorized and tagged cuts, demonstrations, pensions. Bookmark the permalink.